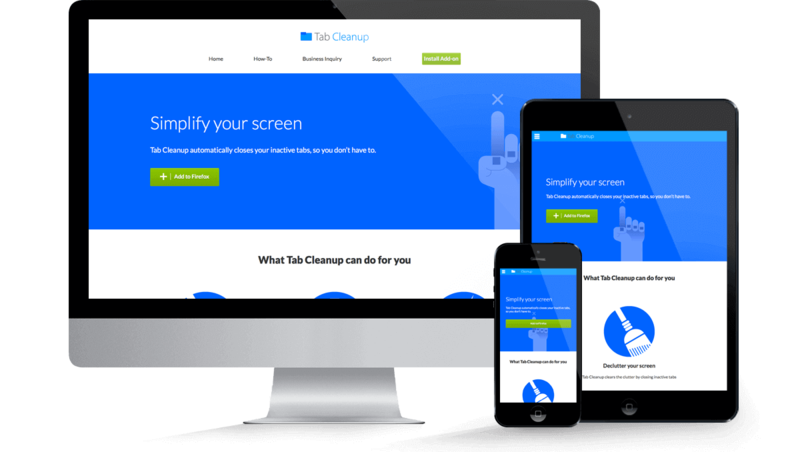 Tab Cleanup is a browser add-on that automatically closes inactive tabs. It is helpful for those who want an eays way to declutter their screens. 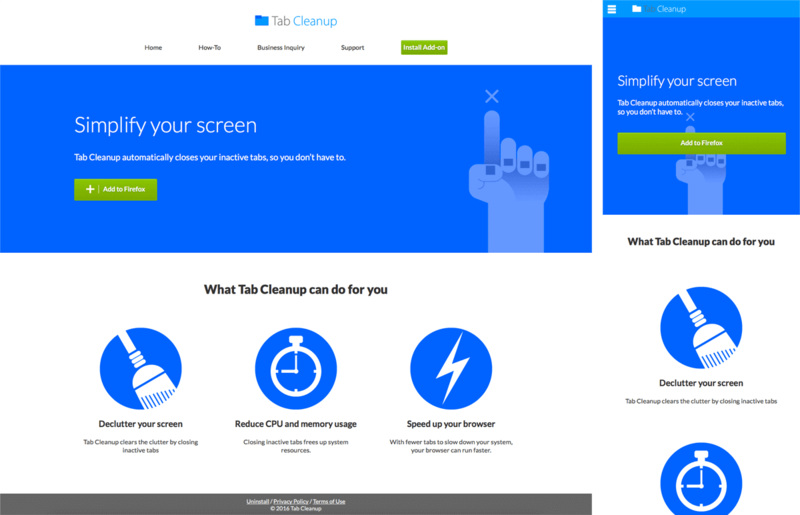 I designed a simple logo and website with a clean, modern aesthetic to reflect Tab Cleanup’s purpose of keeping browsers tidy.